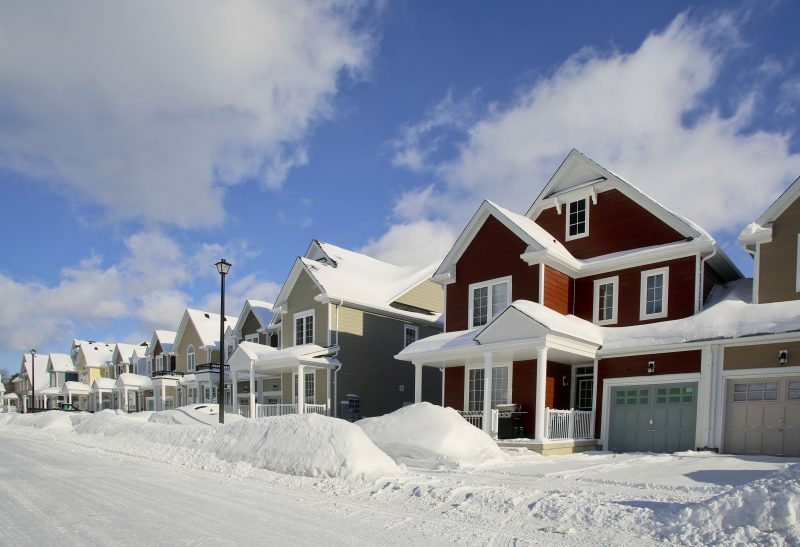 Spending your first winter in your home doesn’t have to be fraught with difficulty. Winterizing your place can be simple and doing it before temperatures drop can help save energy while keeping the heating bill affordable. Before the weather gets too cold, clean off debris from the roof. This includes tree limbs or vegetation that may have found its way onto the roof. Cleaning outside gutters is also a very important step. If they are clogged, spray them with a hose to clean them out. Inside the house there are many ways to duck drafts, starting with the chimney by cleaning out soot. Inspect the damper to ensure it is sealing properly. Then move to the windows. Purchasing an insulation kit will give you all the items that you need, and may increase thermal resistance up to 90%. If you’re feeling particularly ambitious, caulking windows will also help. Sealing drafty areas such as basement crawl spaces or front doors, moving furniture away from vents, or even sealing ducts can help keep things cozy on the coldest days. Don’t forget to check your furnace, and clean or change filters if needed. Dust can build up and should be vacuumed regularly, not just in the winter time. A basic tune-up might be worth the investment, but if you don’t want to spend the money, be sure to at least check the exhaust flue. Reverse your ceiling fans! It’s natural to turn on a fan during the summertime, but did you know that turning the fan on to go clockwise can also cut heating costs? Some estimate that this easy trick will decrease costs by up to 10%. When water freezes, it expands, and this spells disaster for plumbing. Make certain that pipes are well-insulated. Keep the garage door closed in the wintertime to keep temperatures up, but most of all, don’t turn off the heat when you leave your house! Instead, turn the heat on low to minimize opportunity for pipes to burst. Lastly, it never hurts to adopt the motto of the Boy Scouts of America and “Be Prepared” in case of an emergency. An emergency kit should include the following: candles and matches/lighter, phone numbers of utility companies in an easy-to-find location, battery back-up for electronic equipment, bottled water and non-perishables, extra blankets, a first aid kid and an evacuation plan.